Everyday we keep hearing more and more information about the importance of Vitamin D. Vitamin D deficiency can contribute to a number of diseases such as Autoimmune disease, Cancer, Gut disorders, and even Alzheimer’s. This is especially relevant to Western New Yorkers, where vitamin D deficiency is one of the reasons why MS and Thyroid disease are so prevalent. The purpose of this article is to give you some information about Vitamin D, understand how it works in the body, and learn about proper supplementation. In order to understand Vitamin D you must first learn that there are different forms of Vitamin D.
Vitamin D3 – this is the form made in the skin or taken as a supplement. Vitamin D is actually not a vitamin because your body can make it on its own. Vitamin D is made from a form of cholesterol stored in the skin which is the activated from UVB rays to form Vitamin D3. Vitamin D3 is the form that is provided in most Vitamin D supplements. 25 (OH) D – This is the storage form of vitamin D. Once the skin makes D3 or it is taken as a supplement the body will transport it to the liver. In the liver, it is converted to 25(OH) D, this is the form that can be stored in body tissues. This is also the form that is measured during Vitamin D testing. 1, 25 (OH) D – This is the active form of vitamin D. Primarily involved in the regulation of calcium but also has effects on every tissue in the body. 1,25 (OH)D is made primarily in the kidneys. There are other forms of vitamin D but for the purposes of this article we will be focusing on these three types. Humans were not designed to need vitamin D supplements, we were designed to make all the vitamin D we need from sun exposure. However, in today’s day and age most people do not receive an adequate amount of sun exposure to maintain Vitamin D levels. 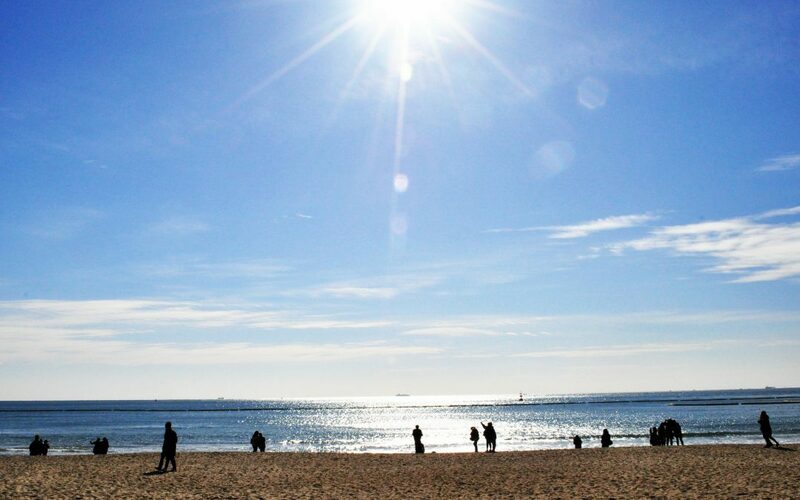 In order to get the proper UVB exposure to make Vitamin D the angle of the sun is extremely important. 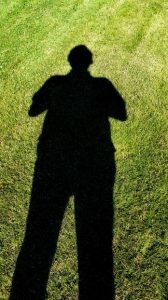 If the angle of the sun is to shallow (think of January and February) then your UVB exposure is not high enough to make Vitamin D. A good rule of thumb is if your shadow is longer than you, then you are not able to make vitamin D. In Western New York, we are at 42 degrees latitude and therefore we are unable to produce vitamin D from approx. late October through late March. In addition, the angle of the sun changes throughout the day. UVB exposure is highest between 10am-2pm depending on where you live, therefore if you are trying to increase your Vitamin D levels after work, good luck. This may seem obvious but there needs to be skin exposure to produce vitamin D. Vitamin D is best produced from the skin of the torso, so when you can, it is best to expose your torso in order to increase vitamin D levels. Also, glass will block UVB rays so therefore sitting in a sun room does not improve Vitamin D levels. Sunscreens will inhibit vitamin D production significantly, even as low as SPF 8 and UVB production will be blocked by 95%. Therefore, it is best to get some sun exposure when the sun is high, during the summer, preferably on some of your torso, and without sunblock. When you take all of this into consideration it is no wonder why Vitamin D deficiency is so epidemic. Please keep in mind that I am not suggesting you get sunburn all over your body (that is actually Vitamin D toxicity), all you need is 15 minutes of exposure to adequate achieve vitamin D production. Have you ever heard the expression, It’s not what you eat, it’s what you can absorb, well with Vitamin D it should be what can you activate. As mentioned earlier, vitamin D is made in the skin then it must be activated in the liver and then the kidneys. This process called hydroxylation is dependent on many factors, namely Magnesium, Niacinamide, Iron and anti-oxidants such as Vitamins A, C, and E. Vitamin A and Magnesium are two of the most common supplements that I must provide for patients, mainly due to stress and gut dysfunctions. Other cofactors required for Vitamin D activation are Vitamin K, Calcium, Boron, and especially healthy fats. Healthy dietary fats are extremely important when discussing vitamin D. If taking a vitamin D supplement, absorption will be improved tremendously if that vitamin is digested with fat. Also, when discussing sun exposure without sunscreen, many people worry about skin cancer and damaged caused by too much sun. One of the key nutrients in reducing the harmful effects of sun exposure are healthy fats, in addition to anti-oxidants and calcium. Coconut Oil is an example of a healthy fat and it is no mistake that it is grown in climates where sun exposure is very high. 25 (OH) D is the form of vitamin D that is tested for with a typical blood test. The suggested range is between 50-80 ng/mol, but I have also seen researchers recommend levels between 35-50 ng/mol. The truth is we are not sure what is the optimal vitamin D level and it is probably highly individualized. When looking at vitamin D tests sometimes there may be an explanation why a Vitamin D level will not rise even with supplementation and adequate sun exposure. First, a vitamin D level may remain low due to improper activation in the liver. Second, high 1,25 (OH) D levels can sometimes negatively effect immune function and the body may be purposely keeping the vitamin D level lower. In these instances, it may be beneficial to have 1,25 (OH) D level checked because if that is very high and 25(OH) D is low then you need to be careful with Vitamin D supplementation. 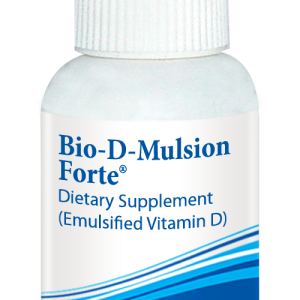 The two types of Vitamin D that I use in the office are Bio-D-mulsion from Biotics Research and D3 from Thorne Research. I prefer the Biotics version because the vitamin D is already provided in an emulsified fat to aid in absorption. There are plenty of good brands out there but there are also a lot poor quality vitamin D suppliers. Vitamin D is very reasonably priced even from the higher end suppliers so I recommend patients to shop from those sources. When someone shows a need for Vitamin D in the office, I usually recommend a daily dose of 5,000 IU per day. If someone is looking to maintain adequate Vitamin D levels through the winter, I recommend 2,000 IU per day. Also, the darker your skin the more vitamin D you need. For children 1,000 iu per 25 lbs of bodyweight is a good recommendation. As you can see ensuring adequate Vitamin D levels can be a little more complicated than just picking up some Vitamin D from Rite-aid. In general, whenever possible try to get vitamin D from the sun, because there are other benefits to sun exposure than just getting Vitamin D. In addition, we probably do not fully understand all of the mechanisms behind vitamin D absorption and activation, despite the benefits of Vitamin D supplementation, no pill can replace the way things nature intended.